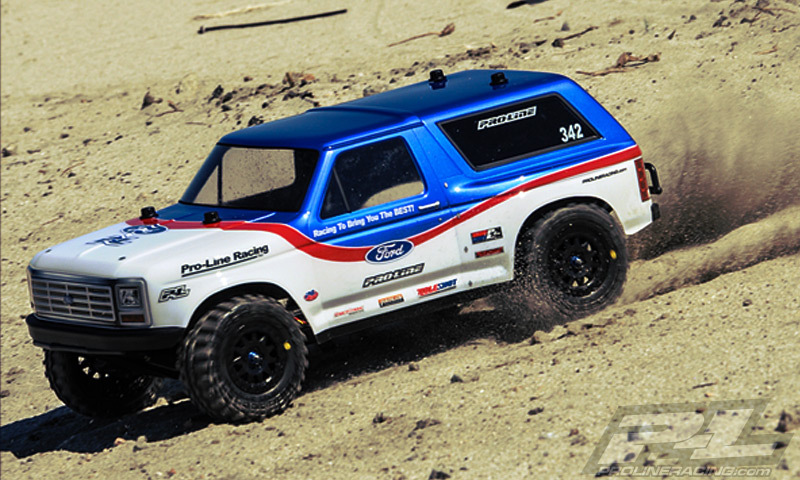 Short Course Trucks play a dominant role in the RC world. 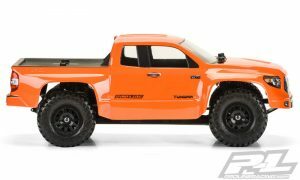 Just about every manufacturer offers some form of short course truck in either 2wd or 4wd or both. 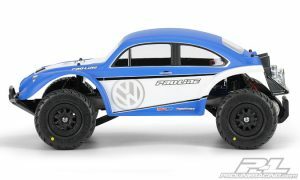 The term short course refers to the real racing trucks the RC machines are modeled after. 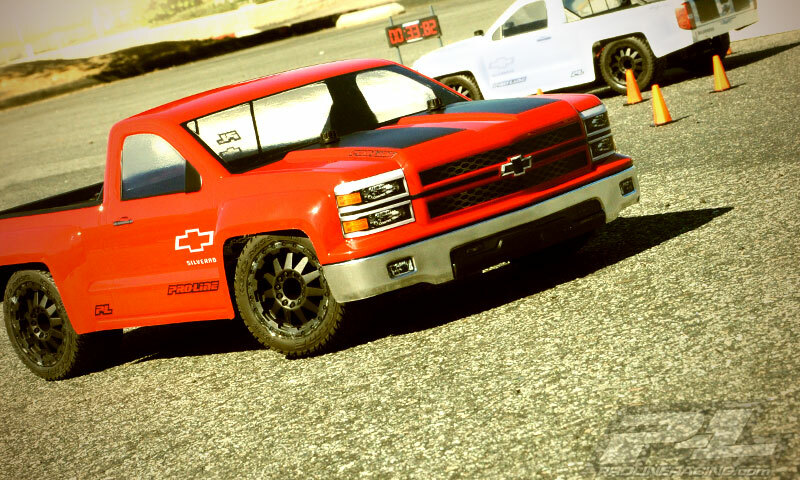 The full scale short course truck is a high powered machine that runs on a closed circuit track unlike other trucks such as trophy trucks that are typically run out in the open. So just because these trucks have been coined with the short course name doesn’t mean they necessarily always have to be used in that fashion. 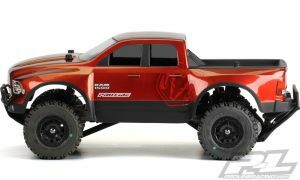 Short Course trucks are really very capable platforms with plush independent suspension, hefty drivetrains and strong chassis components. What that means is that these RC trucks would make great platforms for other types of trucks. 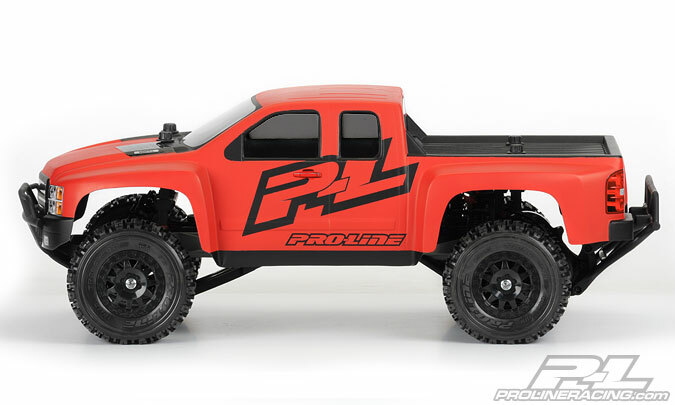 Pro-Line Racing sees the potential behind short course platforms and developed a bunch of aftermarket support accessories to customize your truck into an amazing new machine. Pro-Line is most well known for their tires and bodies and although they offer a number of great short course specific racing bodies, in this article we’re going to focus on their many other bodies available to fit right onto your short course truck. True Scale- These bodies are designed to look as scale as possible while still fitting on the dimensions of a short course truck platform. 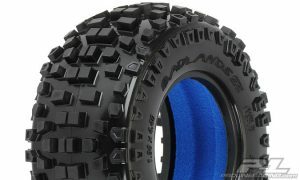 As we mentioned, Pro-Line is also known for their competition race tires, but there will be no low Profile pins here. 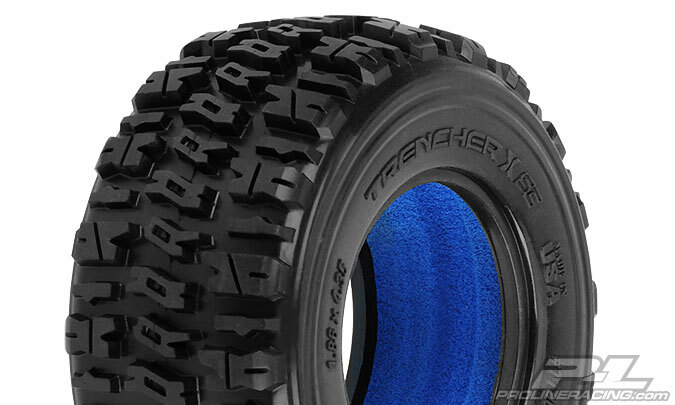 We’re going to talk rugged off-road treads and maybe a little road use too. Beyond cool bodies, here are a bunch of great tires to enhance the new style and performance of your short course machine. 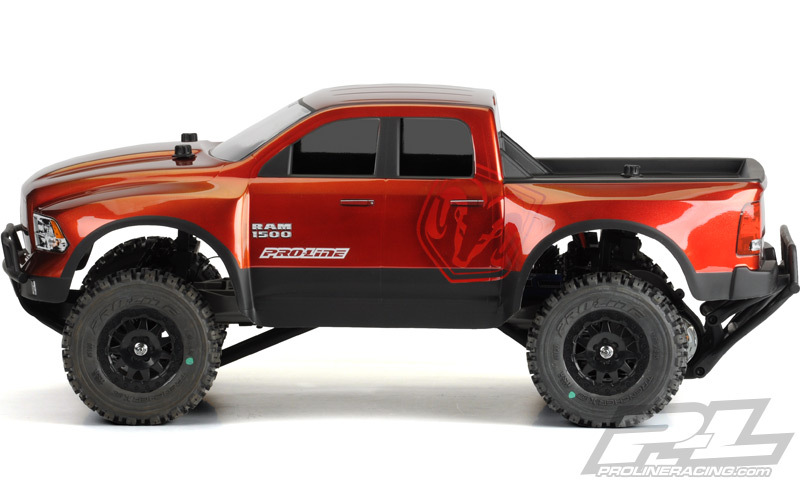 Many short course trucks come with adjustable body mounts to raise, lower or even move the mounts to properly support the body. 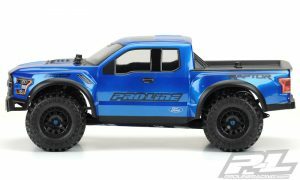 Pro-Lines many bodies work with the manufacturers mounts, but if you own a Traxxas based machine, you might want to take a look at Pro-Line’s optional body mounts. 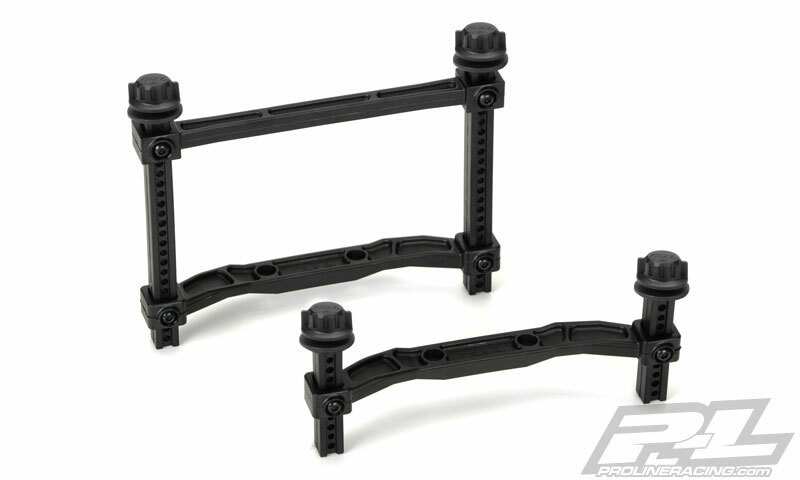 The Pro-Line Extended body mounts use their secure-loc body retaining nuts to secure the bodies rather than body clips. They are much like a thumb nut that screws on and secures the lexan in four points, nice, tight and rattle free. For Pro-Line PRO-2 SC and Slash 2WD there are the 6070-00 mounts and for Slash 4×4 owners, there are the 6087-00 mounts. 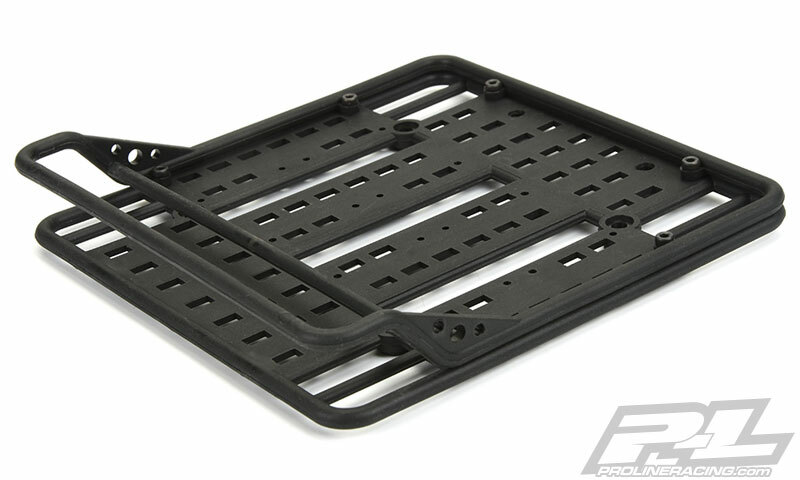 With either set, you get front and rear mounts, posts, Secure-Loc nuts and hardware necessary for installation. 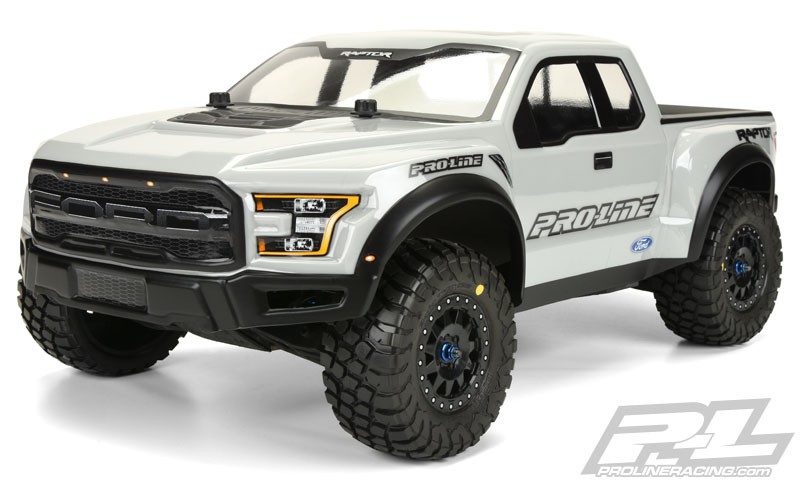 Scale enhancements- Pro-Line’s scale accessories aren’t just for rock crawlers and scale trucks. They can make your short course truck based creations a cool ride to look at too. 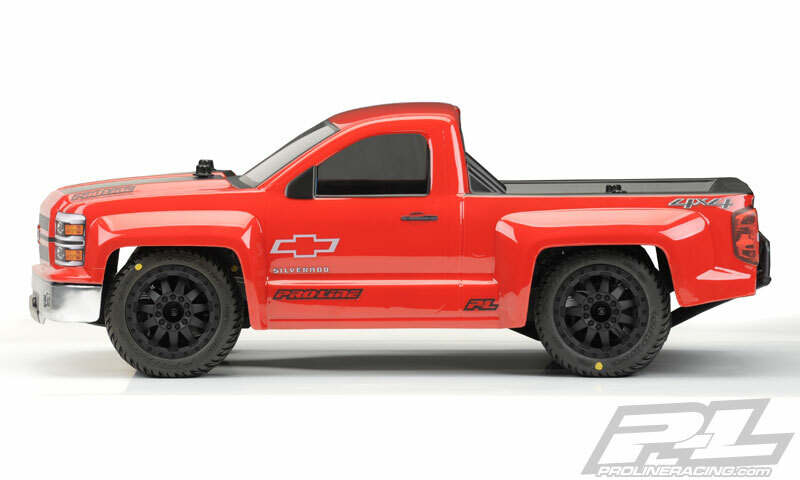 The toolbox from the Pro-Line Scale Accessory Pack #4 6072-00 could look pretty cool screwed down to the bed of a True-Scale body. 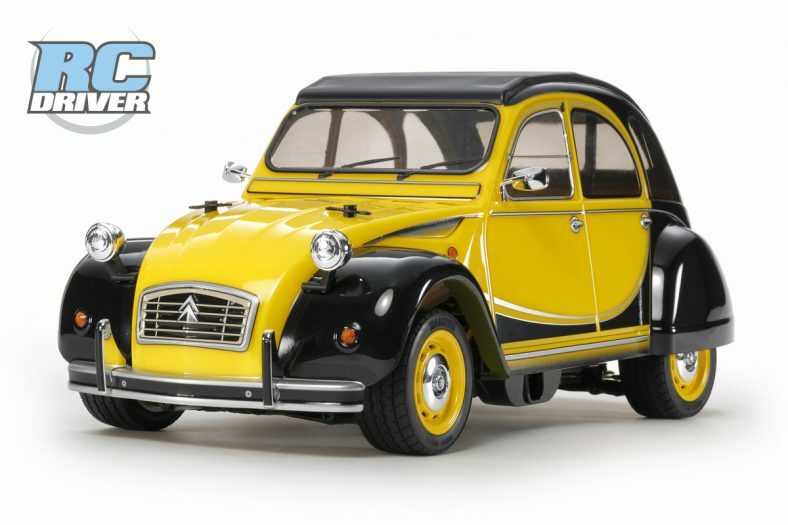 The Overland Roof Rack could be a good fit on the True-Scale bodies as well. 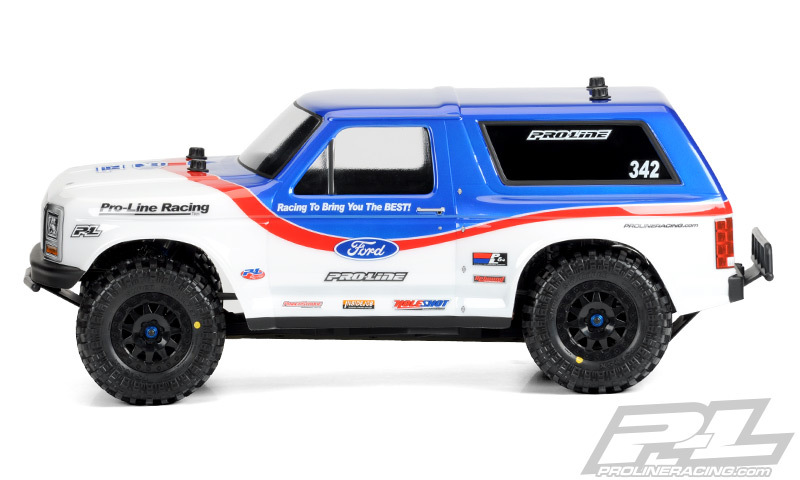 We have our eye on trying out the 6278-00 Roof Rack on the Ford Bronco Body. 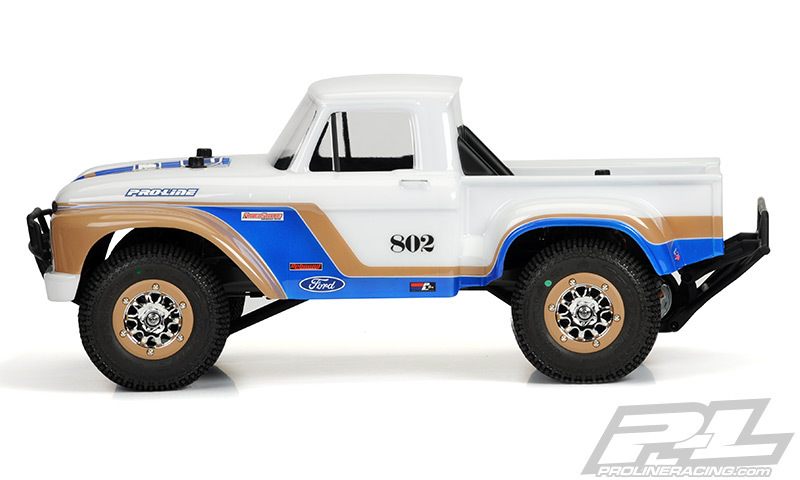 The Tire Cover 6313-00 or the 6311-00 fuel packs could certainly enhance the scale look of your SC based build too, with just a little bit of creativity on your part to mount up the parts. 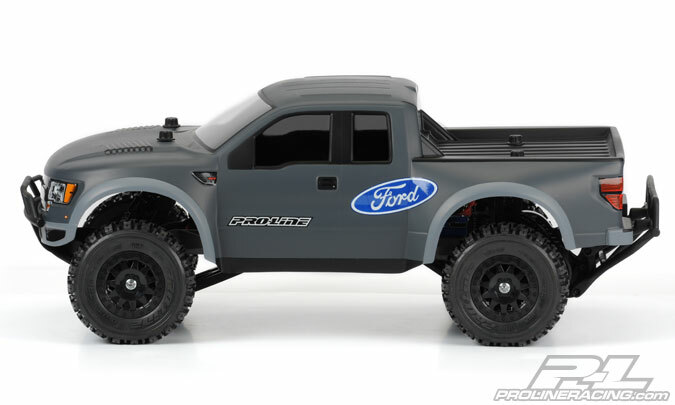 Lighting- Adding lights to your new SC based build may just be a must and Pro-Line’s light sets fit a variety of custom occasions. There are four different styles to choose from. 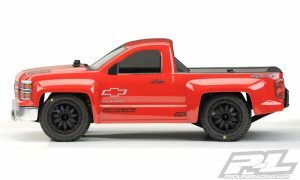 The 6″ Super-Bright LED Light Bar (Curved) Kit 6276-02 and 5″ Super-Bright LED Light Bar (Curved) Kit 6276-03 are great choices for the roof of many of the scale SC bodies and require you to drill just a few holes to bolt the lights down to the body. 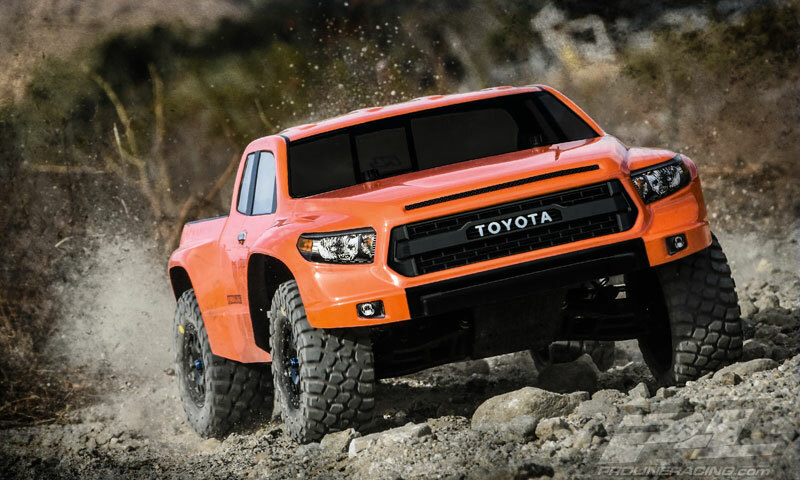 After bolting up the light bars, you will need to run the power harness down into the body and plug it into a power source such as your receiver. 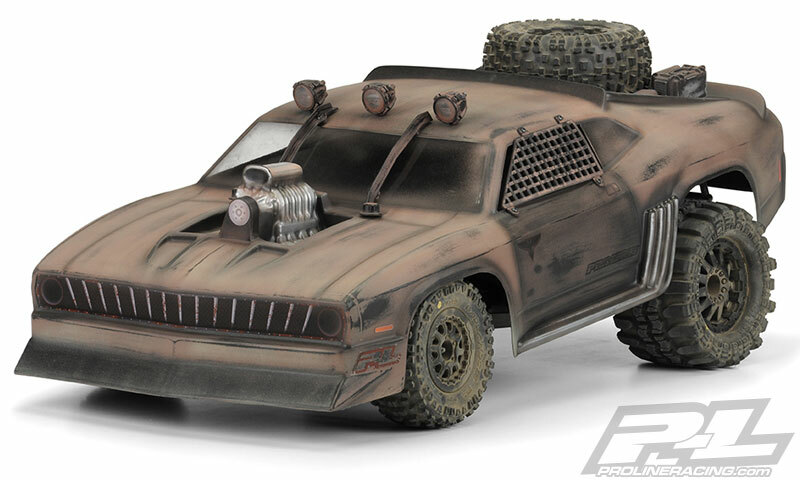 There are two shorter light bar sets in the collection too. 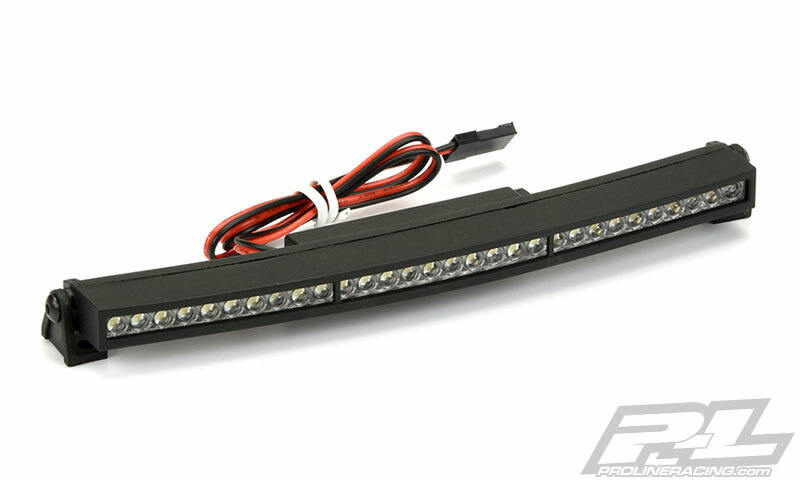 The 4″ Super-Bright LED Light Bar (Straight) Kit 6276-01 and the 2″ Super-Bright LED Light Bar (Straight) Kit 6276-00 can look good on the hood in front of the windshield or possibly even on front bumpers or the undercarriage for night bashing. 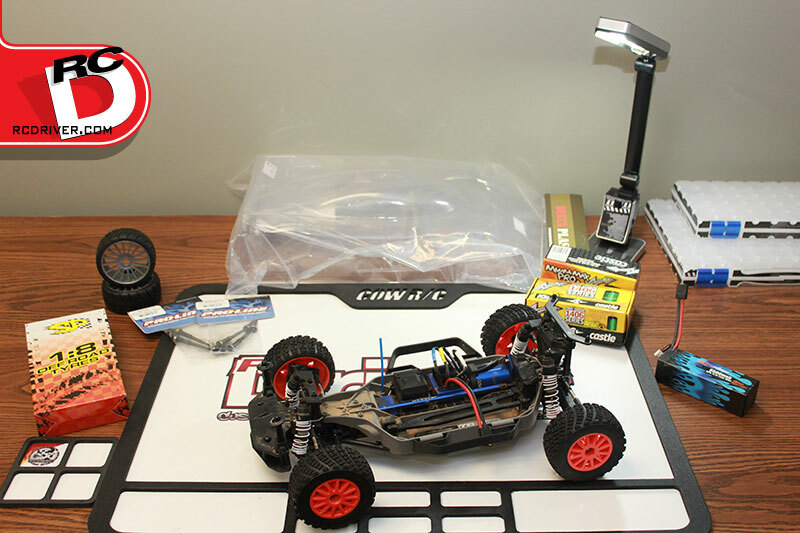 Remember, it’s your RC project and your imagination drives how cool your build will end up. 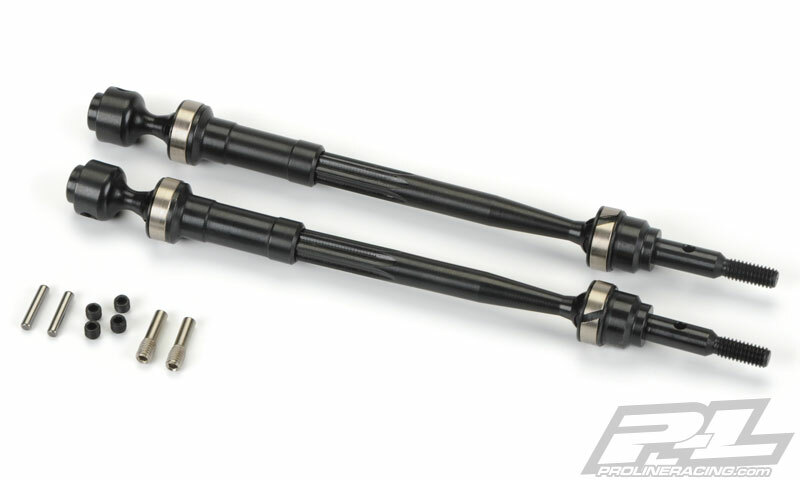 You’re not still using the plastic shocks that came with your RTR SC truck are you? 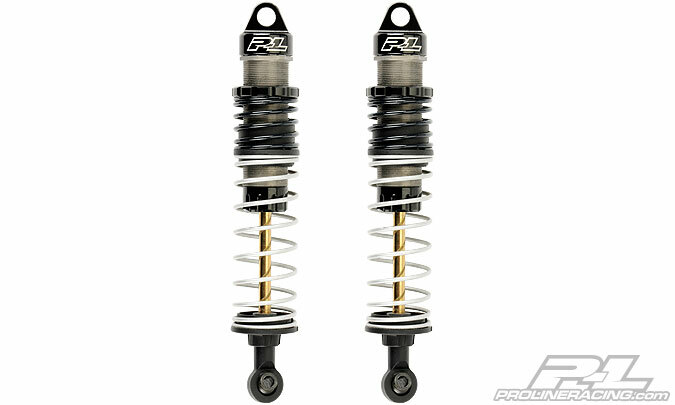 Plastics shocks are a known part that can suffer damage in bad crashes. 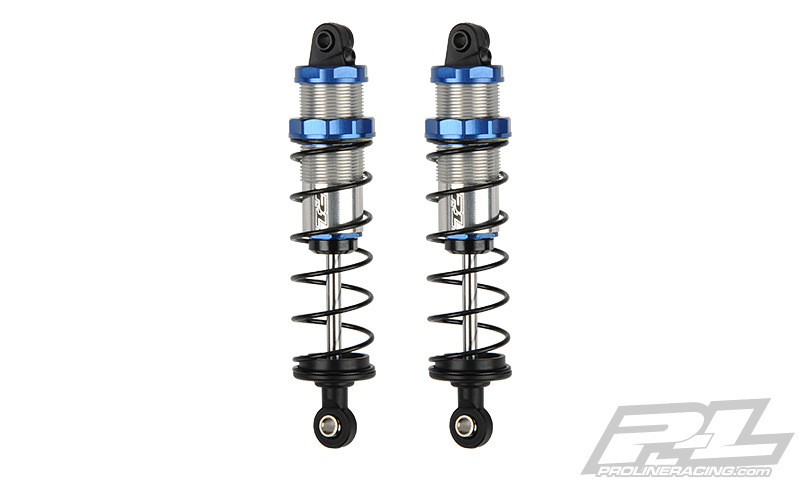 Plastic shocks also tend to wear faster and for these reasons, you should consider an upgraded aluminum shock to damp the suspension of your project make-over. 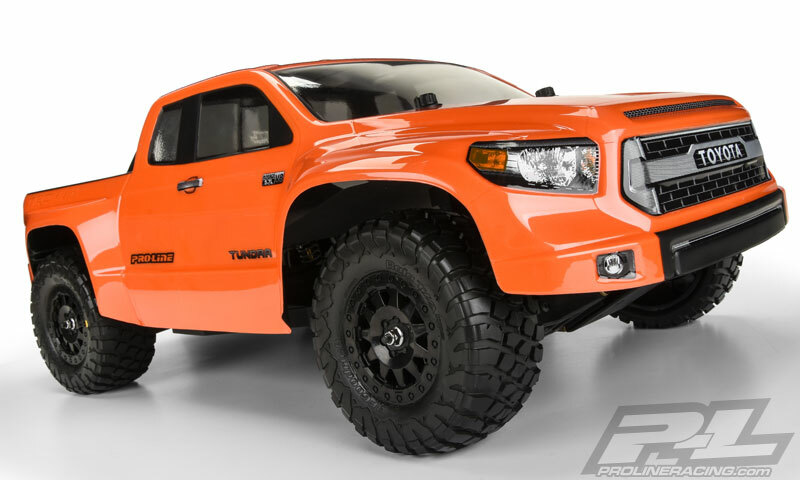 We know, we know, the selections of different, bodies, tires, wheels and accessories can be overwhelming! So we thought we’d do some of the hard work for you. Below are just a few suggestions on what we think would be some cool combos to outfit a short course truck with. 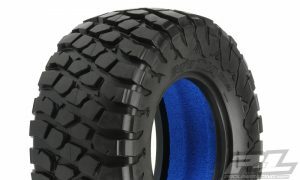 2.8″ Street setup – If you have stock arms, use the Stampede 4×4 offset 2.8″ wheels ( F-11 or Desperado ). If you have ProTrac arms, use the Electric Stampede Rear 2.8″ Wheels ( F-11 or Desperado ). Street tires: Road Rage 2.8″ or Dirt Hawg 2.8″ Tires. 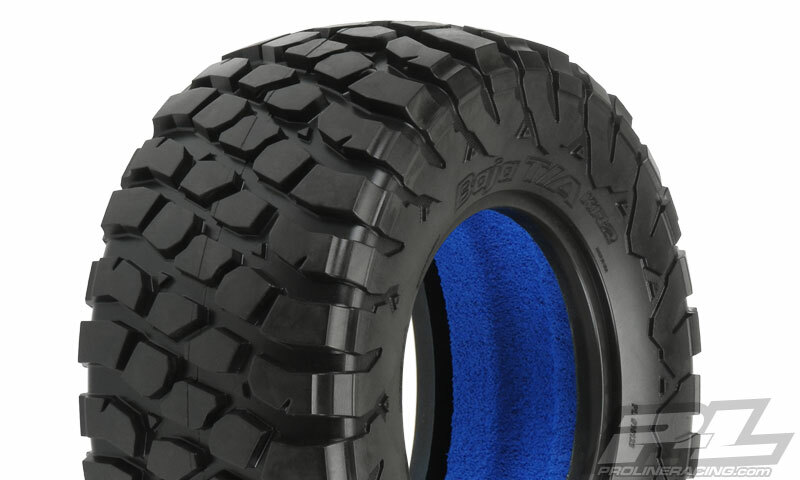 2.2″/3.0″ Street setup – If you want to use standard short course wheels and tires you will need to have ProTrac arms (or arms that are 103mm in length) and pair with Slash Rear Wheels (not ProTrac) to increase the track width of your truck. 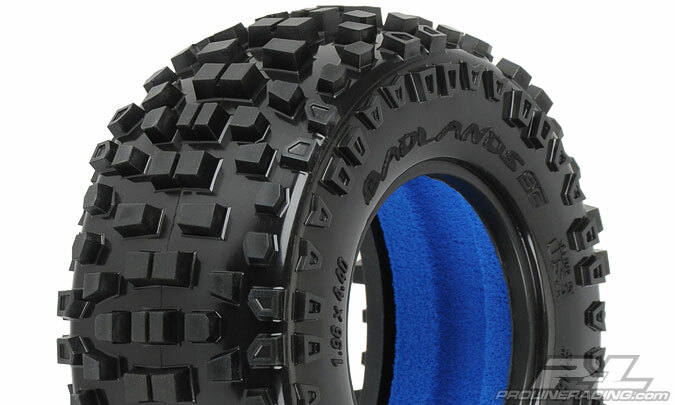 This will push your wheels out to match the width of the fenders. 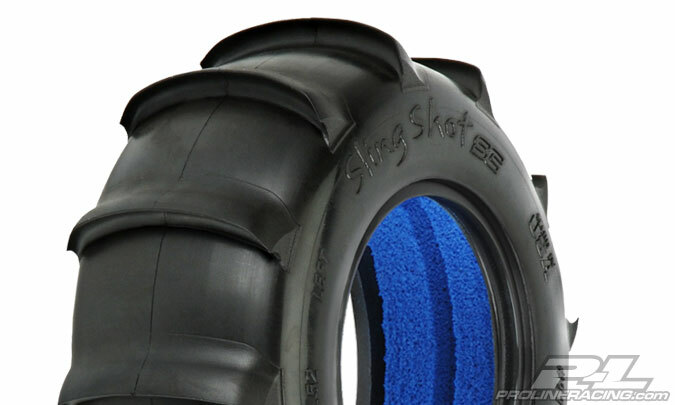 Street tires: Striker SC or Street Fighter SC 2.2″/3.0″ tires. 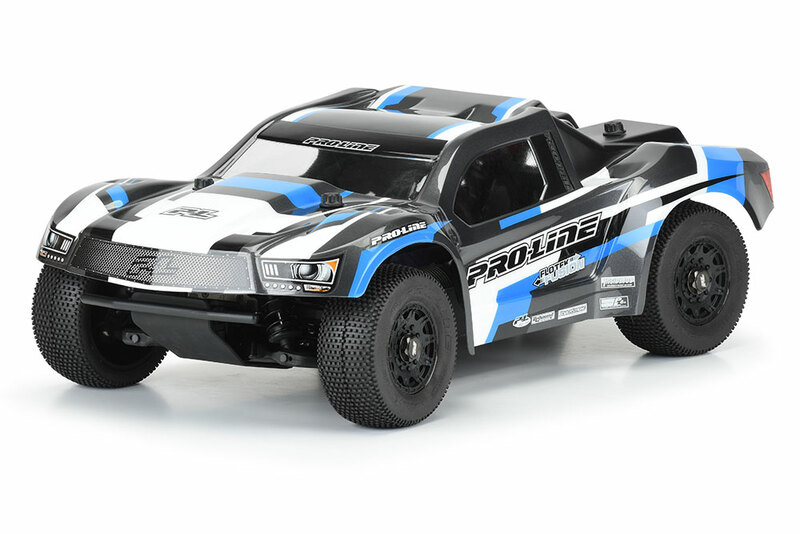 By roaming through the Pro-Line Racing website, there will certainly be enough inspiration to spark your creativity and the products available to make what you imagine come to reality. 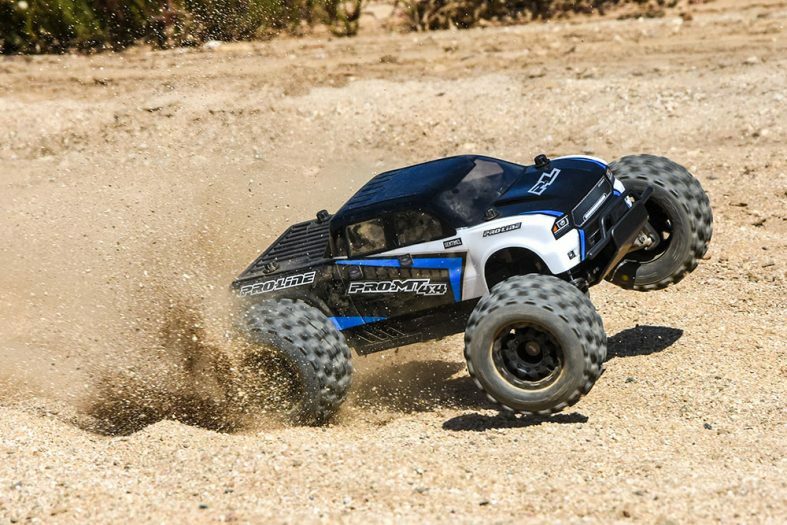 Just about any short course truck is a perfect machine to change up its attitude and make what once was just a race machine into a fun machine for any terrain you want to drive on.